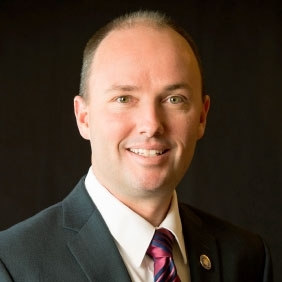 Spencer J. Cox, Utah’s 8th Lieutenant Governor, is from Fairview, Utah, where he currently resides with his wife, Abby, and their four children. He is a graduate of Snow College, Utah State University, and Washington and Lee Law School. He formerly practiced law with Fabian & Clendenin and was Vice President and General Counsel of CentraCom. He has served as a councilman and mayor of Fairview, as a Sanpete County Commissioner, and in the Utah House of Representatives. Lt. Governor Cox is by statute the chief election officer of the state and the liaison between the governor and legislature. He travels extensively throughout the state supporting economic development and local government solutions. He is committed to strengthening families, transforming education, increasing voter participation, utilizing modern technologies, promoting healthy living, and empowering the homeless and impoverished.